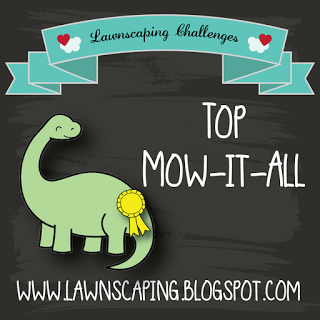 Hi everyone and welcome on Altenew Crafty Friends Blog Hop Day 2! You cane from Therese Calvird and your next stop - Sveta Fotinia. I joined crafter community many many years ago, but in card making especially in clean and simple style I'm still newbie :) I start my c&s journey thanks to Sveta Fotinia she shows me a brand new product for me - Altenew stamps. And now I want to share with you my two cards I made using Altenew stencils and some sentiment stamps. My first card I made using beautiful Mega Rose Stencil. I simply applied red ink through the mask on a white card panel and I drop a little mount of water on it to create dew on a flower. Next I cut a piece of vellum, little bit bigger then the card panel, on the top I cut a heart window using medium die from Halftone Hearts Nesting Die Set. I score vellum on edges to make it a same size as my card panel and I adhere edges on the back of the card panel. Using archival black ink and stamps from Crafty Life Stamp Set I stamp sentiment on the vellum. For my second card I used set of layered stencils - Dahlia A&B Stencil Bundle and ivory cardstock from Altenew - Spicy Yogurt Cardstock. To uply different colors of ink I used small foam duber. For flowers I used inks from Red Cosmos set, for leaves - Tropical Forest set and for background - Tide Blue ink . Those inks are quite transparent, so you can see an amazing paper texture. To create sentiment I used black ink and my favorite Label Love Stamp set. You can win a 20$ certificate to Altenew Store from me, just tell me in comments bellow how you have started your craft journey, I would love to read your stories! Special OfferFREE U.S. shipping with code CRAFTY18 or $5 OFF international shipping with code FRIENDS18 at checkout. Offer valid from 11/29/2018 at 12:01 am EST through 12/1/2018 at 11:59 pm EST. Not valid on prior purchases. Cannot be combined with other promo codes. Be sure to leave comments by Sunday, December 9th, 2018 for a chance to win! 35 winners will be chosen at random from the comments left on all of these blogs listed below and will be announced on the Altenew Card Blog and Altenew Scrapbook Blog on December 15th, 2018. Heve fun and good luck! Funky and Cheerful! Love them. Beautiful cards! I started my crafting journey while I was a kid, making cards using just paper and sketch pens :) Entered into the world of card making with stamps, dies and more techniques in 2014 and I've been learning ever since :) I also love to make quilled earrings and try my hands on easy DIY stuff..
Beautiful cards! I love the sentiment with the heart cut out!! Makes me smile every time I see it. I started with scrapbook pages back in 1997 and sold Stampin' Up products to meet people and make new friends. Over the years, I have switched to card making. I love sharing handmade love with friends and family! these cards are so very nice! Wonderful cards - those bright colours take my breath away! I was lucky to have a grandmother who loved to sew and knit, and a mother who taught me to knit at a young age. I also remember how happy I was to make things as a child, and when I became an adult, rediscovered that joy as an outlet, and had a massive desire to learn new techniques - so I soon added beading, jewelry making, crochet, embroidery, then eventually paper crafting and mixed media to my skills. I also love the internet for being able to access and be inspired by others too - driving me to learn and create more! I love the rose superimposed over the heart and the second card reminds me of Hawaii. Lovely! Love the bright, bold colors. first card is a fun idea. journey after my husband died 15 years ago. Well, for being relatively new, your cards are gorgeous! I just love the colors you used and how bold they are! Thank you for sharing! These are so bright and beautiful! Beautiful cards! 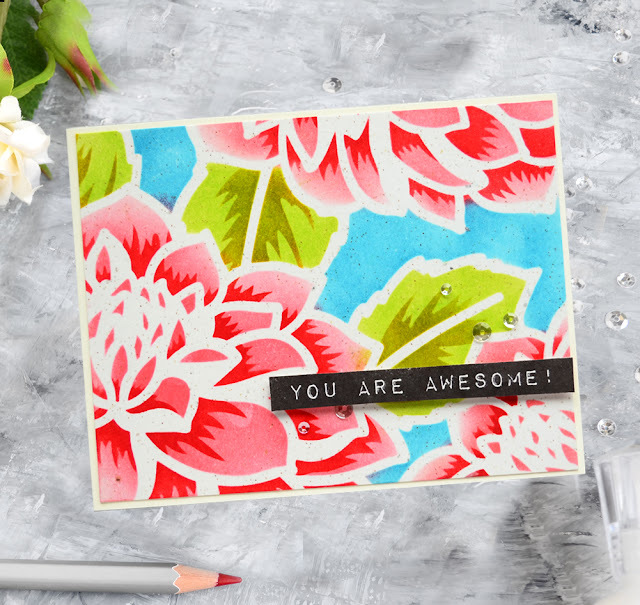 I love the dahlia stencil card - such vibrant colors! gorgeous cards - thanks for sharing!! Oh! 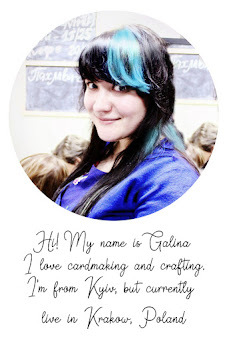 Both cards are so sweet, Galina! Thank you! Love these gorgeous cards! So nicely done. Lovely cards. Such bright colors. The coloring on all your cards is AMAZING! I love the bright colors! Gorgeous cards! Love the coloring. Love the heart cutout in the vellum overlay...I will have to try it myself! I started making cards about 4 years ago, while recovering from surgery. I found it relieves the mind of stress & sharing cards brings happiness to others. So I'm hooked! Beautiful cards. I love the bright colors you used on your florals. Thanks for sharing your time and talent with us. What beautiful beautiful cards! 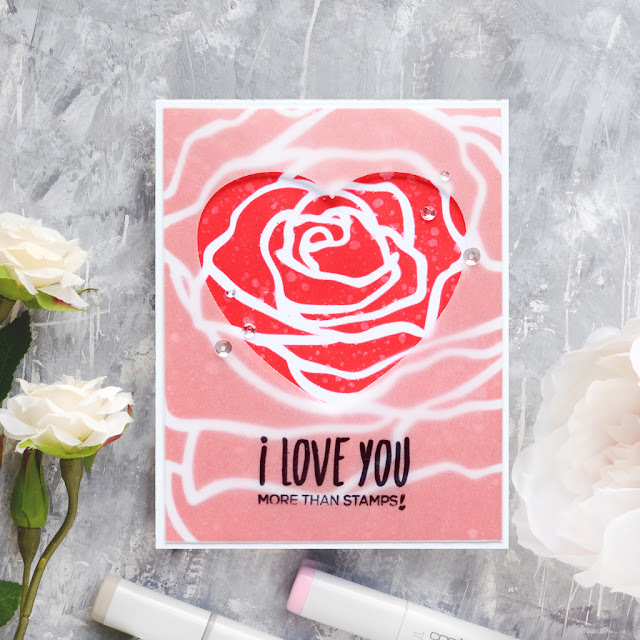 I love how you used the Mega Rose stencil plus the vellum! Plus the colors you chose made this card stunning. Thanks for sharing your cards with us! Gorgeous cards Galina and beautiful colours. I was always 'crafty'. My mother was a seamstress and I made a purse using her sewing machine when I was 9. In grade 3 I got a book through our schools book order called "101 things to make for fun and money"! LOL (I still have that book.) I quilt as well as paper craft for the shear joy of it but I have to say, it is my true passion. Thank you for the lovely inspiration! These are my absolute favorite color combinations!! Love your cards!! I am continually amazed at how wonderful this crafty community is, crossing even international barriers, and this blog hop is such a lovely way to celebrate this. Beautiful cards and thanks for sharing your story with us. Love the vibrant colors you used for these cards!! I love the cards, love the colors you used. Thank you for sharing and inspiring. Such pretty cards! I got started from a sweet neighbor of mine. Great cards, I especially love the first one - such a simple but effective idea, brilliant! Thanks for sharing and inspiring, and being a part of this fab crafty community! Pretty cards, love the heart behind the rose die. Beautiful cards, love the vellum overlay on the first one, and the vibrant colors on the second one. My journey started three decades ago with scrapbooking photos of my family. New techniques and products brought me to card making. I am still learning, and get so much inspiration from blog hops like this. Thanks for sharing. Your cards are so bright and colorful! I love these fresh designs! Lovely cards. I like the sweet sentiment on the first card and adore the colors on that second card. Thank you for sharing. Beautiful cards! I love the vibrancy of that second one. My journey started about 14 years or so ago. My sister invited me to a Creative Memories. I fell in love with scrapbooking and did it for several years. It got to the point though that I just had no room for scrapbooking. A dining room table that had to constantly be cleaned off was just to inconvenient. I then discovered card making via a local small business owner who had her own paper crafting store. She had weekly card classes and I started making cards. Now, with all the blog hops and you tube videos that I have seen I have expanded a little into mixed media canvases and even tried glass etching. I mainly do those kind of things for our Mother Daughter banquet at church, but it's fun. I even make Slime with my granddaughter lol! These are amazing. Love them both! I'm enjoying all the inspiration along the Crafty Friends blog hop! Love your pretty cards! Such beautiful stencil designs and colors! I have been crafting a long time too! I started with card making in about 1987 when my friend, Joan, invited me to a home party for stamps! Such bright and colorful cards! I like how you put the heart vellum over the rose background - so cool. I've always liked crafting but didn't have a lot of time for it. A couple of years ago, I started cross stitching again. While looking for projects on Pinterest, I came across paper crafting and started making gift boxes. Within the past year or so, I started making cards and find it very therapeutic. I'm new to clean and simple and love it - your cards are beautiful Galina. SQUEAL!! Such AMAZING Projects!! Can't wait to see MORE!! THANKS for sharing and for the chance to WIN!! Have a FABULOUS WEEK!! Oh I love the heart over the stenciled rose. Gorgeous Galina, I love that you softend the colours on your first card with the vellum and added the waterdrops as dew. Your second card has similar colours but is more bright and it fits it so well. Thank you so much for this great inspirational post. Oh Wow! Love the big bold design with the beautiful colors you chose. Thanks for sharing these beautiful cards. such pretty, bright, bold colors Galina! especially love your second card!! Your cards are just beautiful--the bright, bold colors suit the large florals perfectly. I started my papercrafting journey 20+ years ago as a scrapbooker. Six years ago, I began card making when I became a Stampin' Up! demonstrator. It's been one of the most rewarding journeys I've ever experienced. So many great crafters out there, so willing to share their gifts and talents on blog hops, YouTube, Instagram and facebook. Thank you, and have a very blessed week. LOVE these vibrant large flower cards, I especially love the vellum overlay with the heart die negative. I began card making several years ago when I was shopping at a craft show and did a make-and-take simply stamped card at one of the booths. So fun and I was hooked. Love the cards. Your style is very different and beautiful. I don't ever remember not being a crafter. My Grandmother taught me to sew when I was 8 years old on her treadle Singer sewing machine. My Mother taught me to embroider when I was just 6-7 years old, then it was crocheting shortly after.... So I have always been a crafter. But started in paper crafts over 30 years ago. I love your cards. So clever with the heart and vellum on the first one!!! Wow, this heart over the stencil flower is so unique. I especially love your color combo on these Galina - lovely cards! Both cards are beautiful! Love the use of vellum on the first one. Beautiful cards! I especially love the second. Gorgeous, bright colors and perfect execution! My craft journey started when I was little...my mom was instrumental in letting me (carefully) emboss cards using a toaster! Beautiful cards! I love hearts, so I really love your first card, but I also love the colors in the second card. Your cards are gorgeous!! I started my crafting as a teenager. I did Japanese Bunka. I moved on to Cross Stitch which i still do today and is still my favorite passion. I did jewelry for awhile. Then last Christmas I found YouTube videos on cardmaking and I am hooked!! My credit card will account for that. Beautiful cards...love your color choices! Very bright and Happy cards...thank you so much!!! Happy Holidays!!! Fab palette on these lovely cards. Thanks for sharing your creativity. Both the cards are awesome, love the vellum in the first card, it make the card pop. Beautiful and colorful. I like your use of vellum. These are mega bold and beautiful! I got started when I was little and my folks got me an alphabet stamp kit, but it wasn't until I became disabled that I finally had time to expand my craftiness and really enjoy the craft.